A little fresh color in your home can help chase away the winter blues. 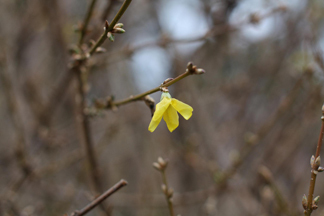 And there’s no better time than now to force buds from spring flowering shrubs and trees. By about the middle of January, outdoor plants have had their six weeks or so of sufficiently cold weather, and have formed tiny buds. If you’re outside doing a little winter pruning, you’ll end up with a great selection of branches good for forcing. To ensure beautiful cuttings, try some of our time-proven tips.